BREXIT Britain’s government must clarify its position after Parliament voted down the Brexit agreement, the President of Romania Klaus Iohannis said in Bucharest today. In his opinion, this decision is regrettable. He added however not that all the procedures which may lead to the approval of the deal have been used, and that the Romanians living in the UK need not worry because European leaders are prepared for other options as well.  The agreement approved by the 27 member states will not be renegotiated, the head of the Romanian state added. VOTE A no-confidence vote against the government is scheduled today in Britain’s Parliament, which yesterday rejected by a large majority the Brexit agreement with the EU. According to Radio Romania’s correspondent, there are slim chances for Theresa May’s Cabinet to be dismissed, given that Northern Ireland’s representatives in Parliament seem to continue to support the Government. Also, although over 100 Tories voted against the deal, it is unlikely that they will do the same against their own government. The rejection of the Brexit deal is the harshest defeat for a British cabinet in modern times, and questions Britain’s withdrawal from the European Union, less than 3 months before it is scheduled to take effect. Analysts predict a severe crisis in the UK. Several scenarios have been discussed, including early elections and the holding of a second referendum. SCHENGEN The Romanian Foreign Minister Teodor Meleşcanu said on Tuesday in Strasbourg that there is no reason to deny Romania’s Schengen accession, and voiced hopes that a solution will be reached during the Romanian presidency of the Council of the EU. He promised that the Romanian presidency will allow for “very open” discussions with the countries opposing Romania’s entry, and will invite those countries to present the reasons why they are against Romania’s inclusion in the visa-free area. “We hope to be as convincing as possible and to reach a solution,” Teodor Melescanu added. STRIKE The Romanian PM Viorica Dăncilă has talks today with the Energy and Economy ministers, Anton Anton and Niculae Badalau, respectively, and with officials from energy companies, concerning the state of the national energy system in the context of the miners’ strike at the Oltenia Energy Corporation. Also today, a new round of negotiations is scheduled at the Government’s headquarters, in search of a solution to the strike. Previously, the mixed negotiation commission approved, apart from holiday vouchers, a further 150 euro gross monthly pay raise for workers andnearly 80 euros for section chiefs, as of May 1. The coal workers demand a 45% pay raise, holiday vouchers and better working conditions. Thermal power plants, working at full capacity these days, only have coal supplies for another 4-5 days left. FLU Nine people have died of the flu in Romania so far. According to the authorities, the 9th victim is a 40-year old man who had previous medical conditions and had not been vaccinated. The man tested positive for the AH1 flu virus. Because of the large number of viral respiratory infections, visitor access has been restricted in many hospitals in the country. Nearly 53,000 respiratory infections and over 100 flu cases have been confirmed since the first week of the year. TENNIS The Romanian player Irina Begu (70 WTA) has been defeated today by the Czech Petra Kvitova (6 WTA), 1-6, 3-6, in the second round of the Australian Open, the first Grand Slam tournament of the year. The other Romanians still in the race are world no 1 Simona Halep and Marius Copil. Also today, in the women’s doubles, the Romanians Irina Maria Bara and Monica Niculescu qualified into the second round, after beating the Spaniards Lara Arruabarrena / Arantxa Parra Santonja, 6-1, 6-1. In the next stage they are facing the winners of the match pitting Lucie Hradecka (Czech Republic) / Ekaterina Makarova (Russia) against Mona Barthel (Germany) / Sofia Kenin (USA). Other Romanians play in the doubles: Irina Begu and Mihaela Buzărnescu, Sorana Cîrstea playing together with Latvia’s Jelena Ostapenko and Raluca Olaru with Galina Voskoboeva (Kazakhstan).